By early spring, the sickness that had the baker and his wife so worried has made its way round the village to the Fowlers’ cottage. 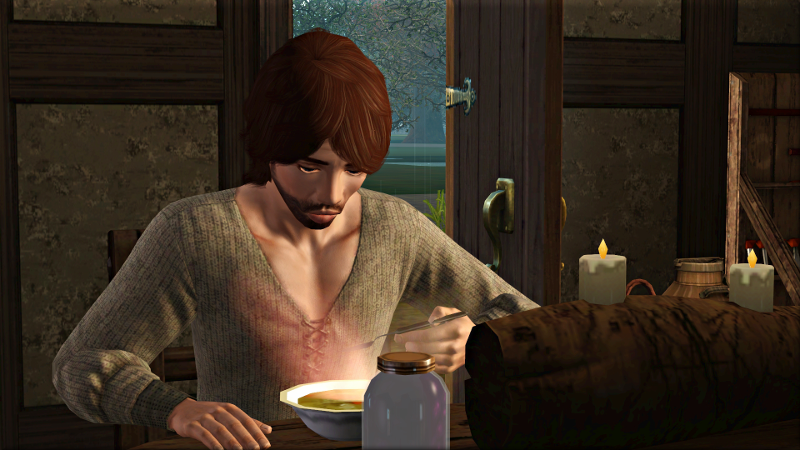 On the Feast of the Candles, Robert comes home from church with weak legs and a fever. His wife Elvina puts him to bed to sleep it off while she makes lunch. Their daughters are both outside. Rikidle is playing with the chicks. 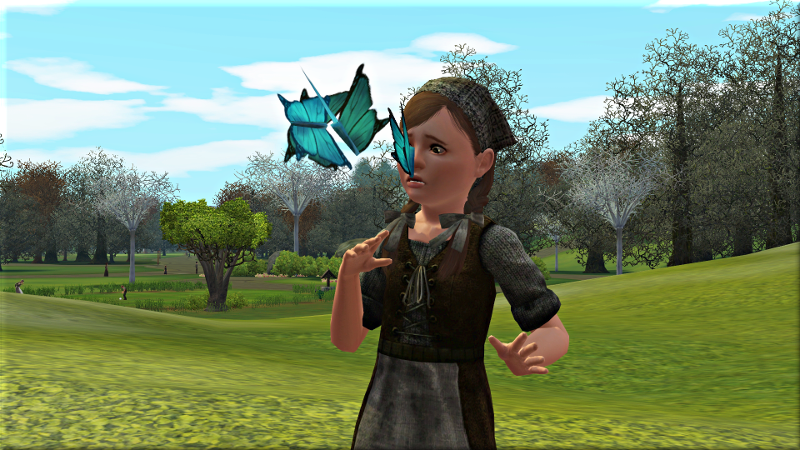 Aelfgiva has ventured further afield chasing butterflies. The girls are not at all alike. Aelfgiva loves to run around, while Rikidle prefers to sit and share stories with John and Juliana’s son Hugh. Neither of them likes to play with Hugh’s little sister Emma. She is cold-tempered in all the worst ways: anxious, morose, pessimistic. She is even unhappy that the weather has been so mild this winter. At home, everything is cramped. There are only three chairs at the table, and no extra rooms to hide away in. Come nighttime, they must lay their bed rolls down close to one another. Their father is up many times that night with a griping in his guts. It is a bad time of year to get sick: the autumn crops need to be planted, both in the demesne and in the villagers’ own gardens. 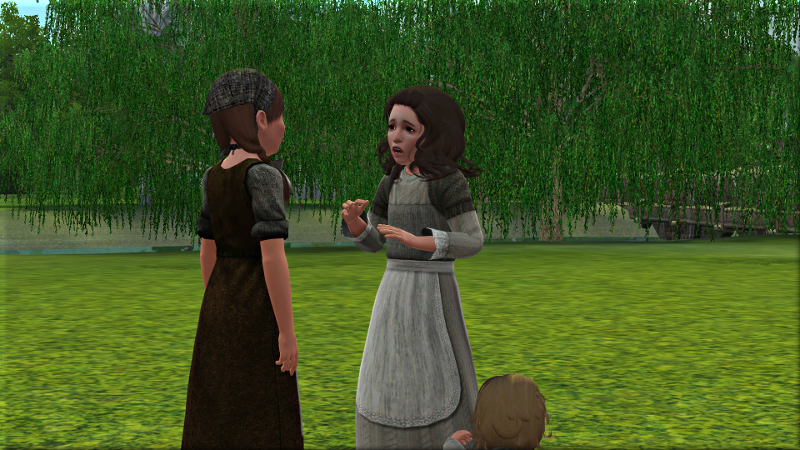 Elvina sends the girls out with some eggs to trade for mint, while she sows grapes and autumn cabbages in the little patch behind their house. Mint is the best thing for an upset stomach, and its mild peppery heat may also help Robert safely sweat out his fever. It is is too early in the year to get any fresh, but Beatrice has some dried. Elvina mixes the mint with a little boiled wine to make a paste. The concoction makes Robert feel a little better for a moment, but when he tries to stand up he hits the floor. He is in no state to go out into the rain for a hard day of work. There will be a fine to pay the baron; thankfully, Robert’s good husbandry has left the family with enough savings to cover it. Elvina once again puts her husband to bed, where he rests all day and night. He wakes up on Wednesday morning feeling much better. His wife and daughters, however, are full of aches and sniffles. 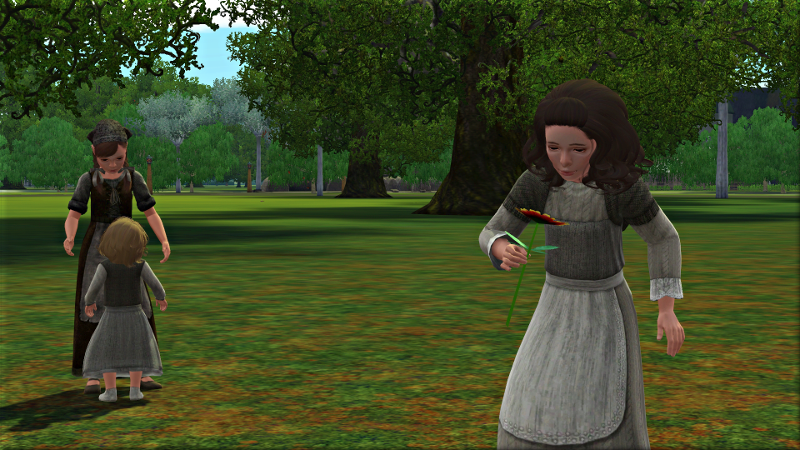 Robert heads out to help with the latter half of the spring planting, leaving Elvina with two sick children. 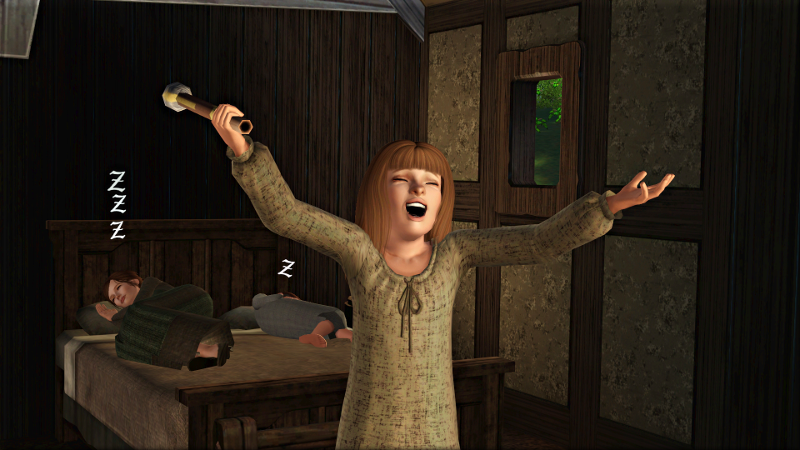 But the girls are no trouble at all: even Aelfgiva feels exhausted, and they both sleep all afternoon. They wake at sunset to the smells of mint and pickled onion. 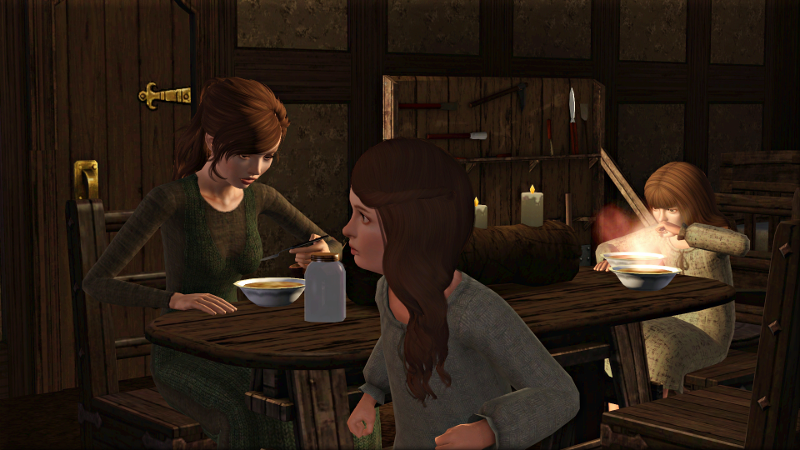 Poor Rikilde cannot keep her supper down. Robert and Elvina let the girls have the bed that night. 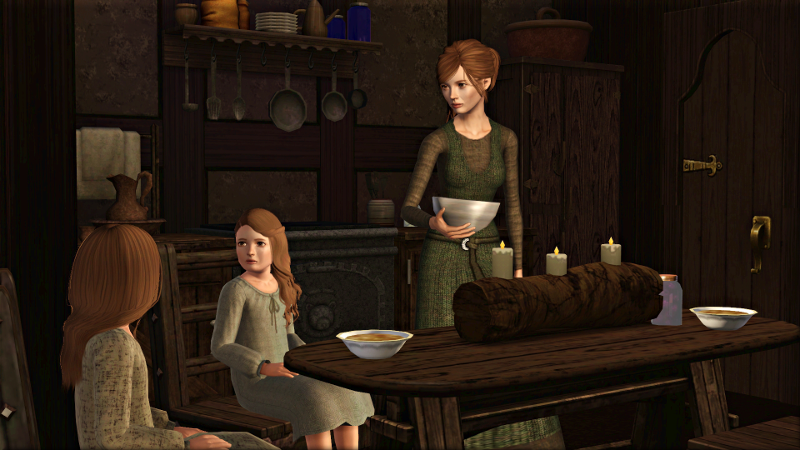 Mother and daughters’ symptoms continue into the next day, forcing them to miss the festivities held on the village green to celebrate the Feast of the Absolution. Determined not to be stuck in bed all day, Aelfgiva invents her own games to play around the house. But her fever soon catches up with her. Despite failing to take the rest she should, Aelfgiva recovers before her mother or sister. On Friday, she helps her father take in the first of the spring greens. When her chores are done, she heads to the riverbank. She is under the strictest instructions from her mother not to swim in the cold water, so instead she skips a stone across its glassy surface. Just as she is getting bored, she sees the baker’s daughters Tephna and Oriel out for a walk. 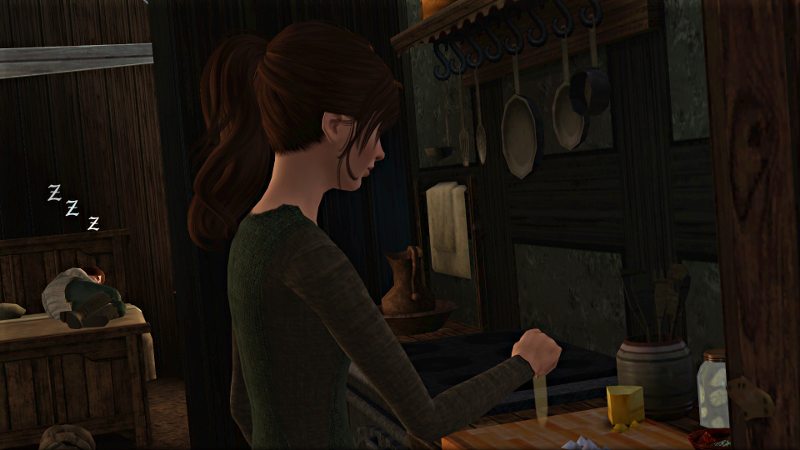 The bakery does not do much business during the spring penitence, so Tephna has the afternoon off. 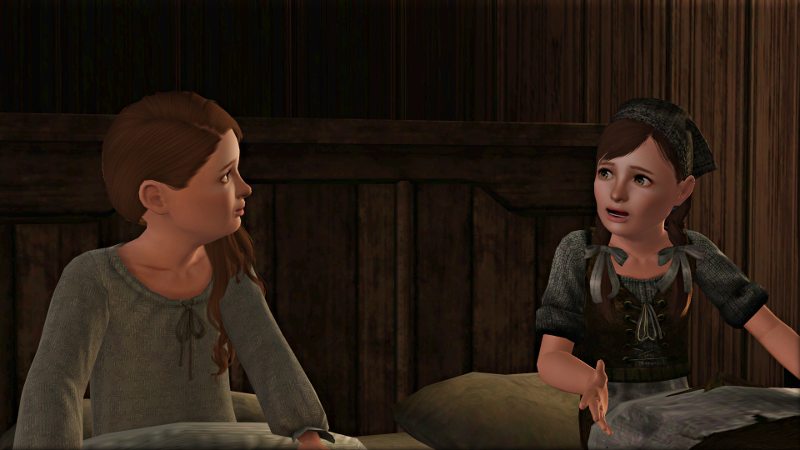 She tells Aelfgiva that none of the other children could come out to play: Hugh and Emma are sick, Jaclyn is helping her mother sew a new dress, Gilbert is out fishing with his father, and Richard and his younger brother Mark have run off somewhere, probably to the waterfall. 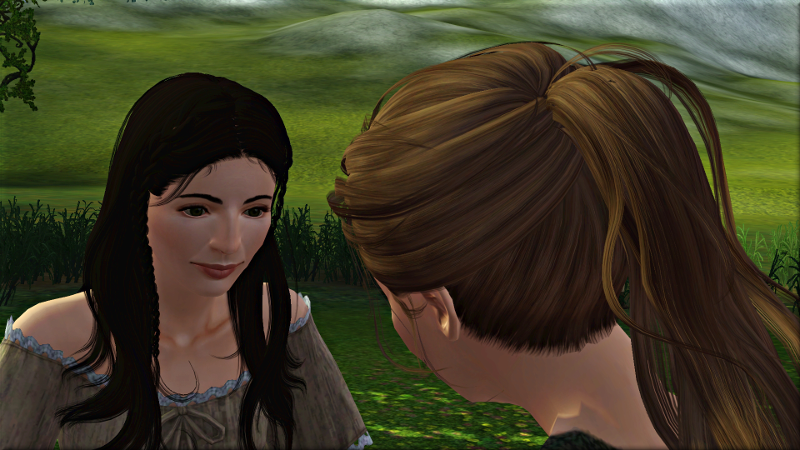 Tephna asks Aelfgiva to play with Oriel for a moment: she has spotted some wildflowers she would like to pick. They wave to Gilbert when they see him out on the river with his father. Aelfgiva’s father is out fishing too, sharing a boat with his friend John. The girls enjoy their afternoon by the river. 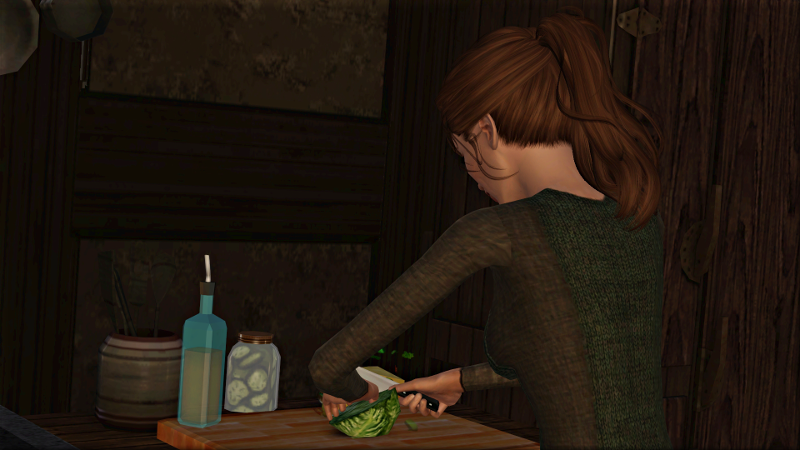 When the evening chill starts to set in, Aelfgiva returns home, where she finds her mother out of bed and chopping up some greens to make a stew. 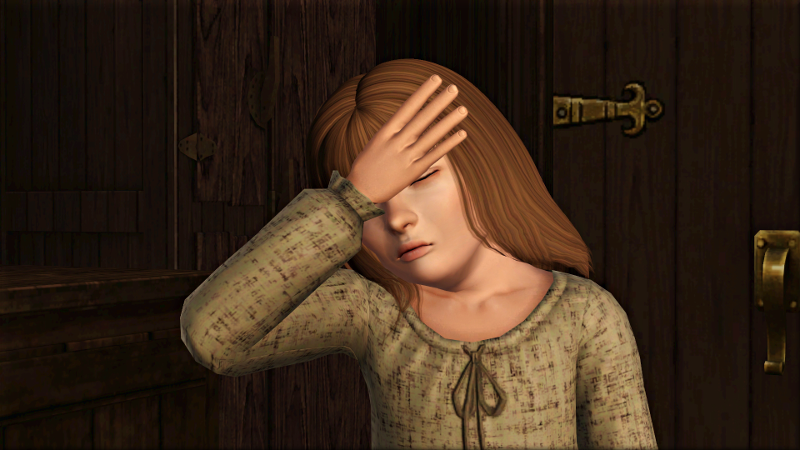 Rikilde is over the worst of her gripes and fever, but still feeling very weak. Aelfgiva tells her a story about an angry troll. Their mother says it is far too scary for bedtime but Rikilde seems to enjoy it. 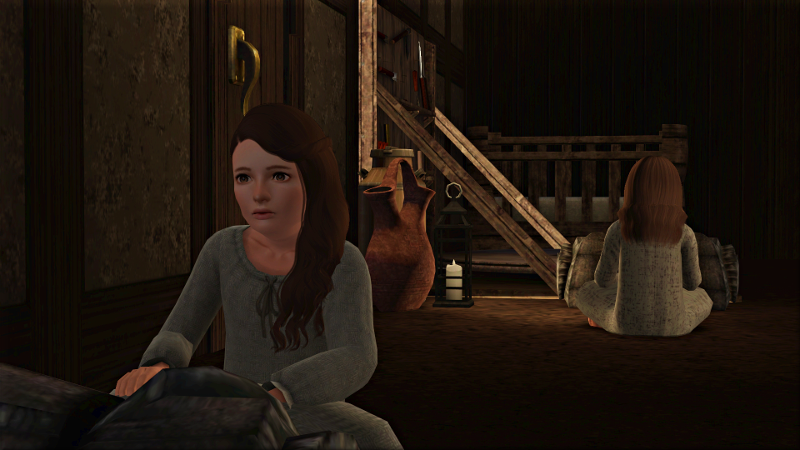 The following day, Aelfgiva does both their chores—weeding the garden with their father, helping their mother cook and clean, and feeding the chickens. She has finished by lunchtime, but heavy rain keeps her inside all afternoon. By Sunday morning, her little sister has fully recovered. 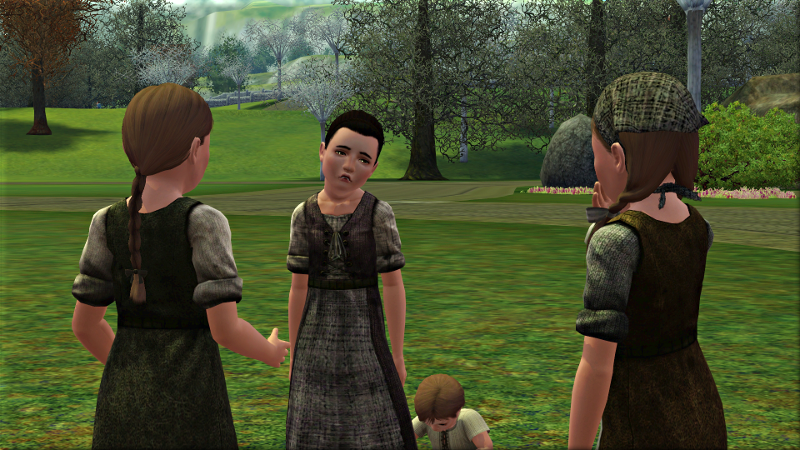 After church, the villagers gather on the green. 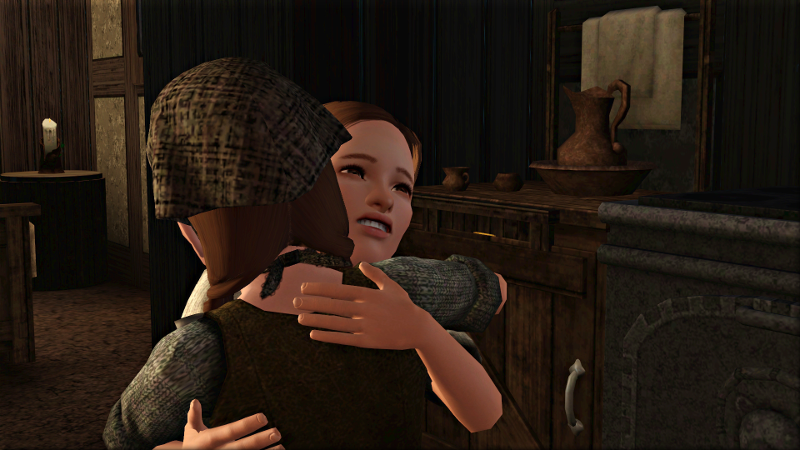 When Elvina hears that Juliana’s children are still sick, she gives her friend the last of the mint. 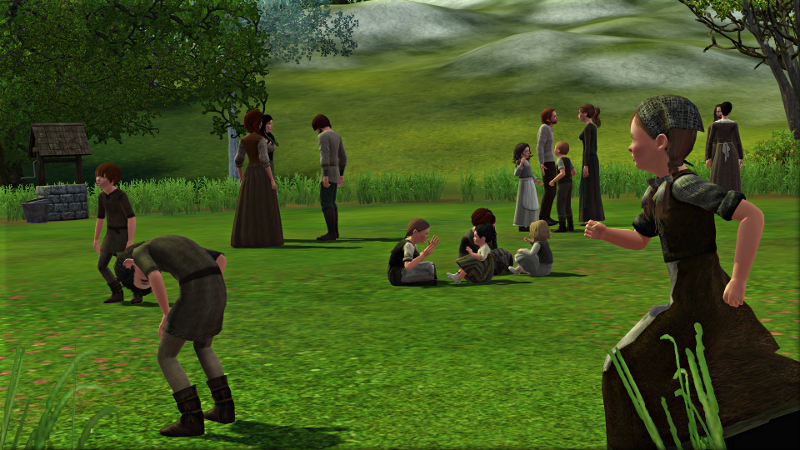 Aelfgiva runs about with Richard and his brother Mark, while Rikilde and Jaclyn tell stories to the younger children. Both sisters are delighted to be feeling strong and healthy again. Poor family. They are all recovered now but I hope the illness won’t spread through the village. This was my replie above dear. I was having trouble siging in. Glad to see everyone made it through the sickness was worried someone would pass away.